You depend on your cooling and heating system to keep you feeling comfortable year-round in your Orlando area home. If you have ever been without air conditioning for an extended period of time in Florida, you know it can get very uncomfortable quickly. Your home comfort system is also a large percentage of your overall energy consumption. Keeping your heating and cooling system maintained will help ensure you are up and running when you need it, and at an optimal cost. For only $99 ($89 for each additional system), we will perform a complete preventative maintenance on your air conditioning system. We offer this service to our Orlando, Winter Park, and Oviedo customers to affordably maintain their heating and cooling systems so they operate at peak performance throughout the year. Components require regular cleaning, inspections, and adjustments to operate at peak performance. At One Stop Cooling and Heating, we believe in being proactive to keep your system working properly, rather than being reactive after your system is beyond simple cleanings and adjustments. No need to worry about scheduling another AC tune-up! We guarantee air conditioning tune-ups twice each year, automatically scheduled. This lets you remove uncertainty, guard against forgetfulness, and protect your system. Cleaning and adjustments twice annually to your heating and cooling system. Precision tune-ups save you money and extend the life of your equipment. The #1 reason for system failure is dirty coils. Properly maintained systems last longer. 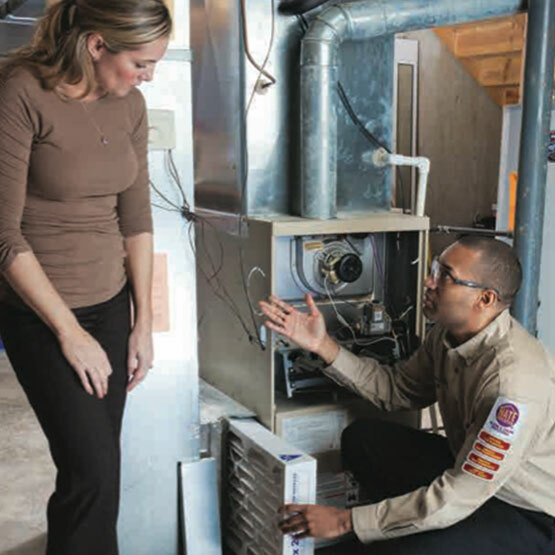 Your heating and cooling system is safety-checked. It’s saving you money and performing to factory specs. Our Extended Privilege Agreement (EPA) is $156 per year per system. This includes two maintenance visits annually, 25% off all services, Preferred Customer status and more. Our HVAC company employs skilled, knowledgeable professionals certified by NATE (North American Technician Excellence). NATE is the nation’s largest industry-endorsed nonprofit organization.